D3Sciences is dedicated to the development of tools for improved tissue sampling to expand cancer diagnosis, therapy specificity, and research. To detect, diagnose, and treat internal cancer requires a team of healthcare providers led generally by three specialist physicians: oncologists, radiologists, and pathologists. Upon examining a patient, and assessing the indicators for the presence of the disease, the oncologist consults with the radiologist and the decision is made for the radiologist to perform an image-guided biopsy to obtain tissue samples. 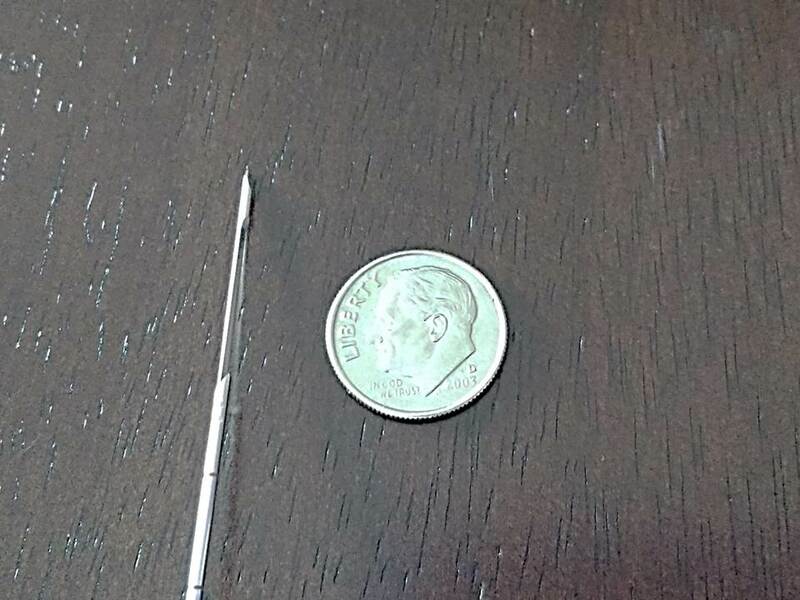 The needles used generally harvest less than 50 mg of tissue, so multiple passes of the needle through the tissue under investigation are needed. The tissue samples are sent to the pathologist who is advised of the suspected cancer type. The pathologist examines the tissue, and returns a definitive determination of the presence or absence of the disease. If the disease is determined to be present, the pathologist then takes on the additional responsibility to sub-type the molecular and genetic signature of the cancer. These special tests often require upwards of 1,000 mg, sometimes even 1,500 mg of tissue. If the tissue sample is sufficient to enable the full range of sub-typing tests, a high degree of diagnostic specificity can be achieved. The pathologist gathers their findings at the level of specificity possible, and submits a report to the oncologist. The oncologist then consults with the patient to plan a chemoradiation therapy regimen. The level of precision and personalization in the regimen depends upon the level of detail achieved in the sub-typing process, which in turn depends upon the adequacy of the tissue samples. If a sufficient volume of tissue can be collected in a biopsy, a complete range of sub-typing tests can be performed. The oncologist can run a broad range of tests to achieve the necessary degree of personalization in chemoradiation therapy instead of having to use a probability-based formulation as typically happens today. When chemoradiation formulation is sufficiently personalized, patients do not experience painful and dangerous side effects such as hair-loss, gastrointestinal distress, nerve damage, skin lesions, bone marrow failure, and others. Such personalized formulations allow cancer patients to endure the full course of chemoradiation therapy treatments, resulting in a more complete treatment and the elimination of a broad scope of cancer cells rather than just a subset. Thus, the likelihood of a patient enduring the complete chemoradiation therapy and surviving the disease is significantly increased by having a greater volume of tissue with which to accurately target the cancer cells. The physicians involved in treating a cancer patient want to achieve the highest possible specificity, enabling them to target the cancer and minimize the discomfort and suffering of the patient. To achieve this goal, they need larger biopsy tissue samples. With many innovations still to come, D3Sciences envisions a world with minimal suffering thanks to precise and personalized medical care, for humans and animals alike. *CAUTION: Investigational Device. Limited by Federal (or United States) law to investigational use.